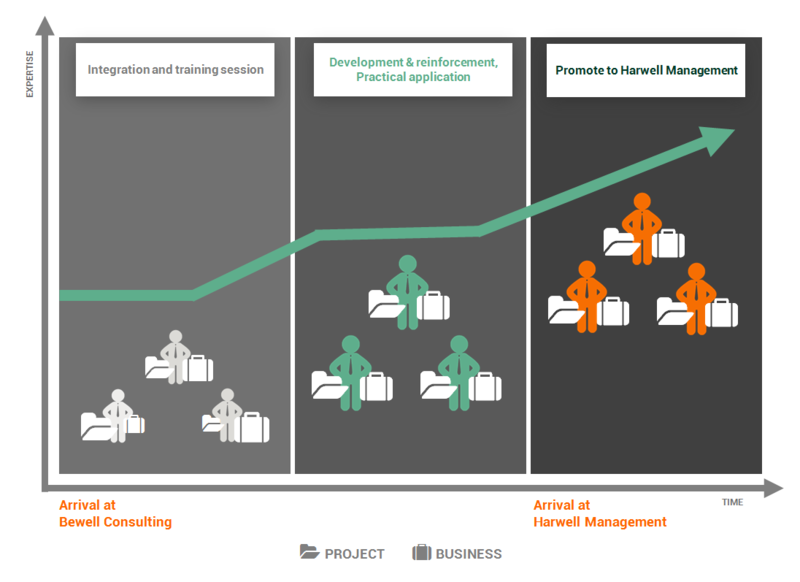 This synergy between Harwell Management and Bewell Consulting allows us to train collaborators to be operational in all the components of our field, both in Project know-how and Business Line expertise. Regular training sessions allow each contributor to adjust his “professional baggage” throughout his collaboration with Bewell Consulting, with an eye to integrating the Harwell Management team in a second step. We favor a relationship with our collaborators that lasts over the long-term. After between two and five years at Bewell Consulting, we offer you the opportunity to join Harwell Management as a Consultant or Senior Consultant.